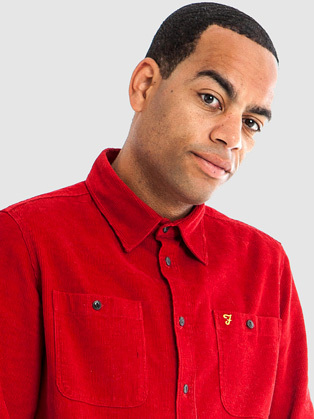 Ben Bailey Smith, best known by his stage name Doc Brown, is an English rapper, comedian, actor, screenwriter, radio presenter and voiceover artist. Doc Brown is the stage name of Ben Bailey Smith, the younger brother of novelist Zadie Smith. He was born in December 1977 to Jamaican and English parentage and began his professional career as a rapper. Following the release of his short film 'Blighty' he moved into the realm of stand-up comedy, appearing in the So You Think You're Funny contest as well as supporting Ricky Gervais on tour. Beginning life as underground rapper Doc Brown, Ben Bailey Smith has diversified profoundly, moving into mainstream TV and Film acting, stand up, screen writing and children’s books. He has a host of notable television performances under his belt including a starring role in ITV’s Law & Order, C4’s The Inbetweeners and Derek, BBC thriller Hunted, BBC comedies Rev, Miranda, Russell Howard’s Good News, Live at the Apollo and ITV’s Midsomer Murders, and is highly regarded for his ongoing work with Ricky Gervais. He starred in the 2016 Gervais movie David Brent: Life on the Road, and received huge accolades for a major dramatic role in the ITV1 hit drama Brief Encounters. He has also written music for the movie Attack The Block. Smith also boasts a wide following amongst children, starring in and writing for the cult CBBC animation Strange Hill High and creating and co-writing the BAFTA winning Four O’Clock Club on CBBC, now into its fifth series. His first children’s book, the Walker/Candlewick-published I Am Bear has gone on sale worldwide and been an instant hit with critics and readers alike. A watershed moment arrived late in 2016 when Smith hosted the BAFTAs in Los Angeles, entertaining the likes of Samuel L Jackson, Tom Hanks, Jodie Foster, Jennifer Lawrence and more! In 2017 Smith recorded an hour-long stand up special for the BBC due to be aired in Feb/March. He has also announced a comeback to music, returning to his roots to release an album, Stemma, his first in over a decade, accompanied by a highly anticipated tour during 2017.